In the wake of revelations that GNPC’s exploration subsidiary Explorco has been facing harassment from Togolese navy officials during exploratory activities, government has been advised to as a matter of urgency resolve the country’s eastern maritime border demarcation with Togo. 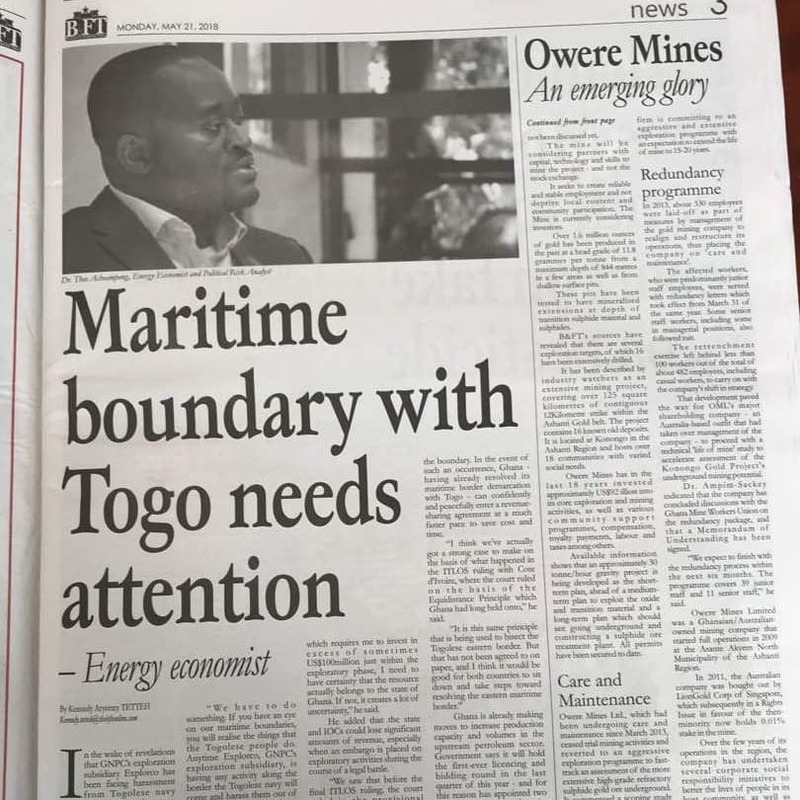 Energy Economist Dr. Theo Acheampong, who made the call, said the country should act fast and avoid the kind of protracted dispute it was engaged in with La Cote D’Ivoire – and not give investors another reason to hold back. 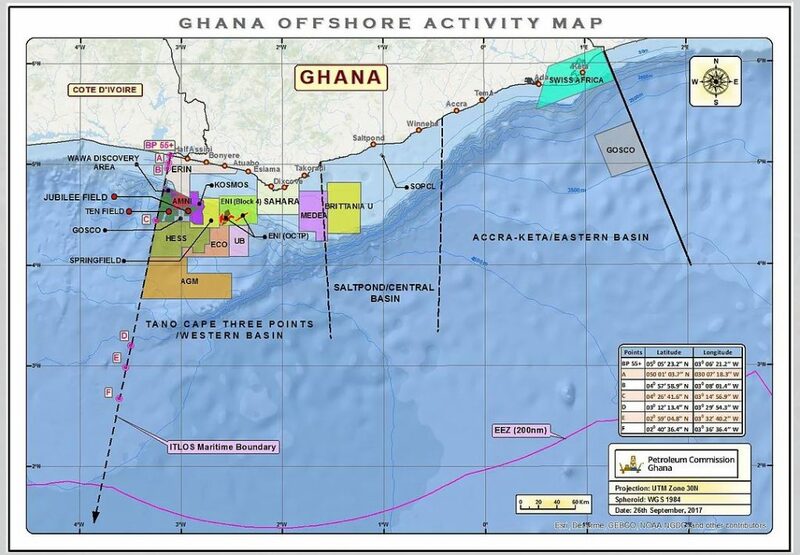 At a recent lecture organised by IMANI Africa, CEO of the National Petroleum Authority Hassan Tampuli disclosed that the Togolese are thwarting exploration efforts in waters close to them. “We have to do something. If you have an eye on our maritime boundaries, you will realise the things that the Togolese people do. 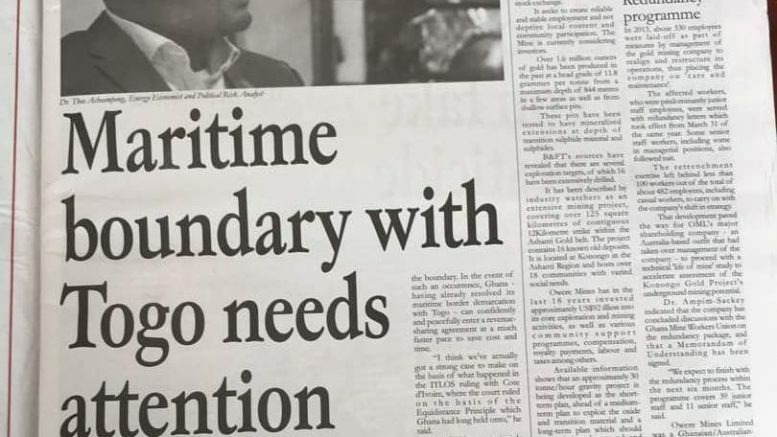 Anytime Explorco, GNPC’s exploration subsidiary, is having any activity along the border the Togolese navy will come and harass them out of the place. And they’ve been doing that all the time,” Hasssan Tampuli revealed. “How long can you avoid such confrontations? At some point, you need to take action,” he said. 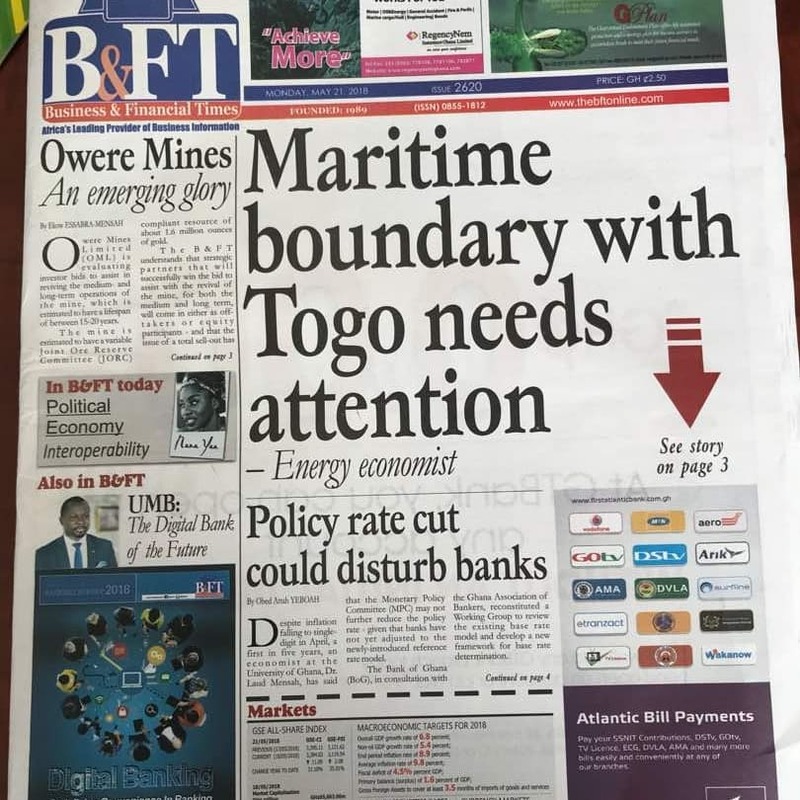 Buttressing the point in an interview with the B&FT, Dr. Theo Acheampong warned that failing to delineate the maritime border can affect investor confidence and slow down production if significant deposits of hydrocarbons are discovered in the catchment area. “At the end of the day, if I am an investor coming in to sign a petroleum agreement which requires me to invest in excess of sometimes US$100million just within the exploratory phase, I need to have certainty that the resource actually belongs to the state of Ghana. If not, it creates a lot of uncertainty,” he said. He added that the state and IOCs could lose significant amounts of revenue, especially when an embargo is placed on exploratory activities during the course of a legal battle. “We saw that before the final ITLOS ruling; the court ruled in the provisional measures that Tullow could not drill the extra 10 wells they needed for the TEN Field. Therefore, between 2015 and September 2017, when the substantive case was ruled upon, all those investments had to be put on hold,” he explained. According to Dr. Acheampong, it is highly possible to make a discovery that goes across both sides of the boundary. In the event of such an occurrence, Ghana – having already resolved its maritime border demarcation with Togo – can confidently and peacefully enter a revenue-sharing agreement at a much faster pace to save cost and time. “I think we’ve actually got a strong case to make on the basis of what happened in the ITLOS ruling with Cote d’Ivoire, where the court ruled on the basis of the Equidistance Principle which Ghana had long held onto,” he said. Ghana is already making moves to increase production capacity and volumes in the upstream petroleum sector. Government says it will hold the first-ever licencing and bidding round in the last quarter of this year – and for this reason has appointed two committees to begin preparatory works. The move forms part of a bigger national strategy for the upstream petroleum sector called an ‘Aggressive Exploration Campaign’. Under this policy decision, the country seeks to find new locations of oil deposits. The idea is to increase production capacity and output to add to government revenue. The country currently produces between 120,000bpd to 150,000 bpd, with production volumes tipped to reach in excess of 200,000bpd by 2021.